We have a brilliant food offering, including homemade classics, steaks, puddings and more. 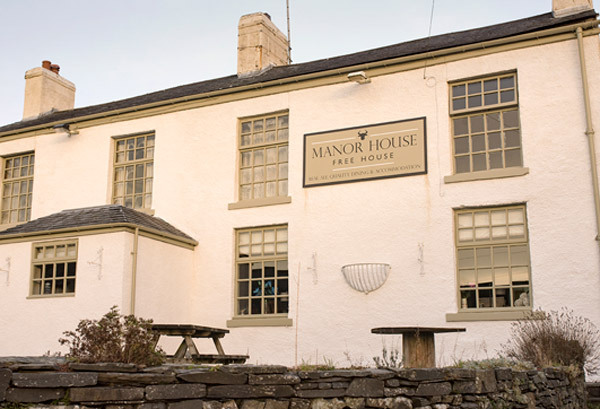 The Manor House is located in the sleepy hamlet of Oxen Park, in the south of the Lake District, 4 miles south west of Lake Windermere and 2 miles south east of Coniston water. We offer a warm welcome to all of the family, including dogs. Serving a range of home cooked food, local real ales, fine wines and freshly ground coffee, in a recently renovated and cosy environment. Using locally sourced ingredients we serve quality pub classics along side our more creative specials. We also have our weekly authentic curry night and our popular 3 course Sunday lunch.